To celebrate The Royal Wedding we held an assembly. Mrs Conlon talked about all the preparations that need to be made and how everyone needs to work together to make an event successful. Year One shared some of the work they have been doing in their computing lesson. 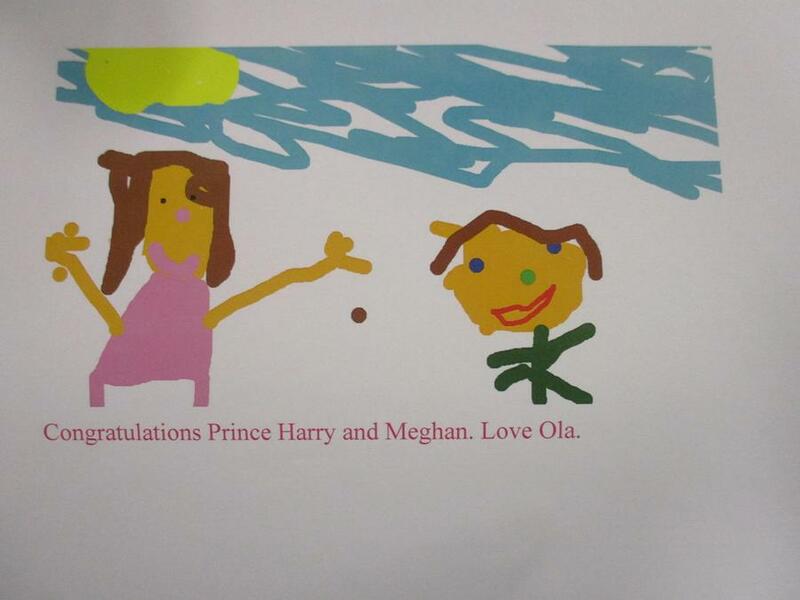 The children had drawn pictures of Meghan and Harry and written them a special message. We said a prayer to wish them happiness.